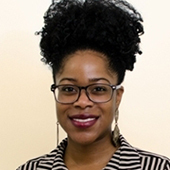 “Lethal Housing: Reading Restrictive Covenants and Urban Black Women’s Grassroots Health Activism, 1930-1980” by Lisa Young is selected for The 2017 Ralph Henry Gabriel Dissertation Prize. Written at the intersection of American studies, black studies, black feminist theory, and literary studies, this interdisciplinary project offers a study of the effects of (and activism responding to) restrictive covenants in the twentieth century United States. Attending in particular to black women writers who mobilize literary form as a means of critical and activist intervention into the legal regime of racially restricted housing, Young’s dissertation offers an exemplary model of interdisciplinary inquiry by moving between historical, legal, and literary archives to provide a compellingly argued and meticulously researched account of the ways in which black women writers have mobilized literature to shape what the author describes as “urban ecological literacy.” With its focus on the gendered effects of (and gendered responses to) restrictive covenants, Young’s research allows us to grasp the ways in which black women writers staged effective interventions against the forms of bio-political violence that have historically, and continue, to affect black life in the United States. In particular, the dissertation uses ecofeminist theory and urban ecology theory to generate an analysis of how Black women contributed to the ‘sustainability’ of lives, neighborhoods, communities. She also traces roots of a tradition of ecological consciousness and activism in Black America. By showing us how the aesthetic realm (literature) is both a place to document and critique prevailing conditions, while staging activist interventions so as to open up new conditions of possibility, Lethal Housing makes a powerful argument for the critical role that the aesthetic may play in critiquing and reshaping the world, underlining the radical, agential, and devalued role that black women have always played in this process. The Ralph Henry Gabriel Prize is awarded annually to the best doctoral dissertation in American studies, ethnic studies, or women's studies. The awardee receives $500. The awardee will be announced at the annual meeting of the American Studies Association, November 10, 2017.